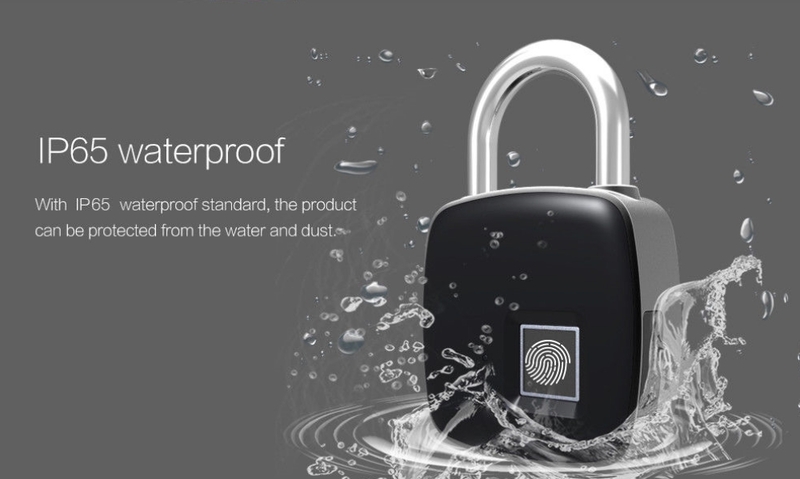 IP65 rated waterproof and dustproof design. Can support 380 kg weight. 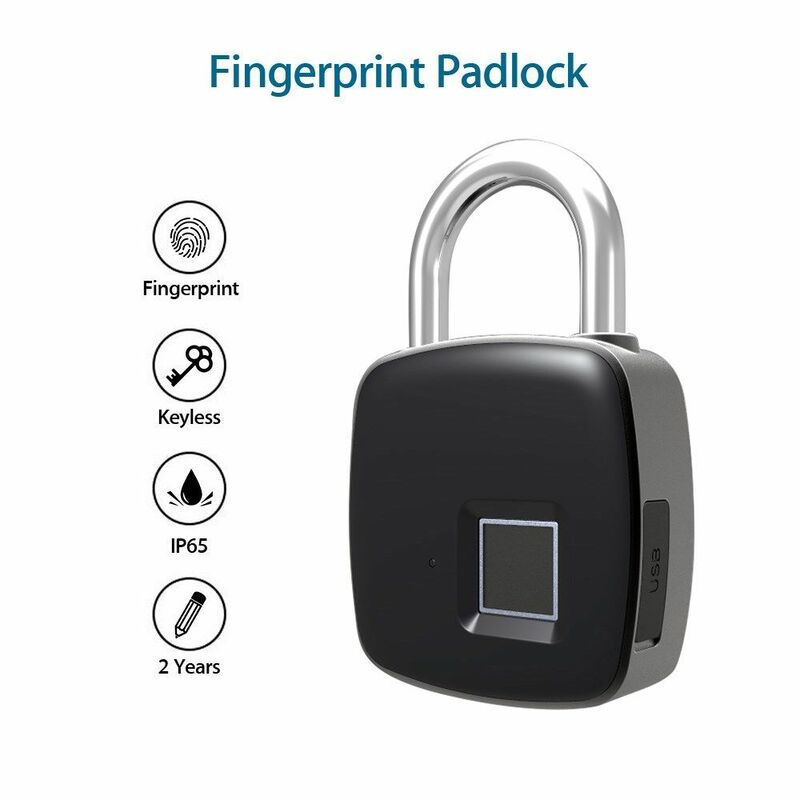 Support up to 10 fingerprints recording. USB charge: With the feature of Low power consumption and long standby time. Support 360 degree arbitrary direction press type fingerprint recognition. 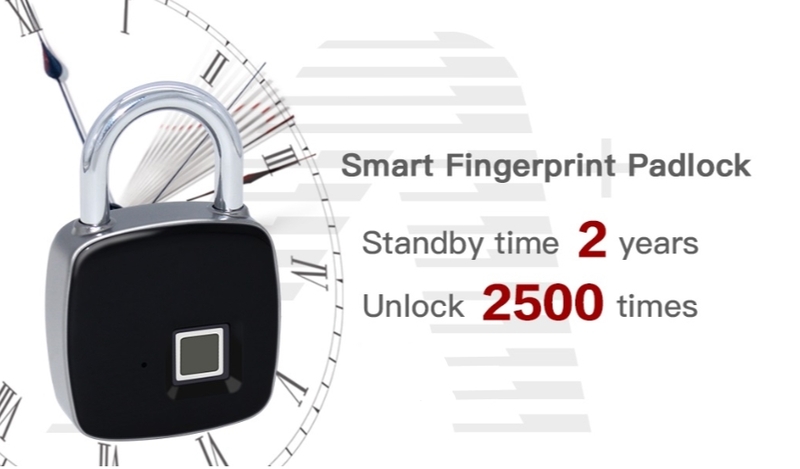 Built-in 300mAh lithium battery, the longest standby time up to 2 years, and the maximum number of unlocking times up to 2500 times. If the battery is short of power, it can be unlocked in an emergency. After charging, you can directly press the fingerprint to unlock it.